As one of the busiest holidays in America takes place with millions of people traveling, the new airport screening rules have people up in arms. At all 450 of the nation’s commercial airports the Transportation Security Administration (TSA) is using the new front-of-the-hand, slide-down screening technique for passengers who opt not to walk through full-body scanners, in addition to passengers who set off metal detectors at checkpoints without the scanners. 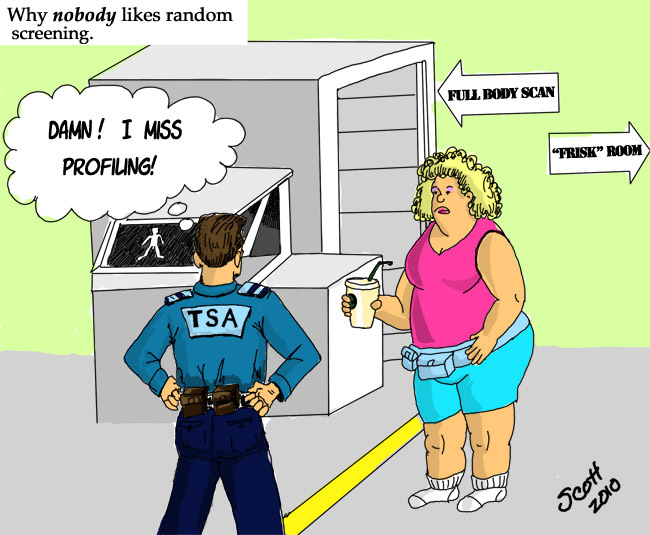 The TSA also picks random passengers for the searches. The legality of these procedures is under the microscope with some calling it a violation of individual rights and an example of the TSA going too far. Threats of large scale protests by passengers appear to have been empty as most people have somewhere to get to and little time to demonstrate. In the meantime, Saturday Night Live has had its fun.